« Urgent call for solidarity with our dear friend S.
After a protest which took place on August 2nd, 2017 in front of the German Embassy, more and more refugee families are uniting to demand their immediate transfer to Germany. On August 7th they continued their struggle with dozens of families in the Himalaya offices, the only travel agency responsible to issue them tickets and tomorrow, on Thursday 10th of August 2017, they will protest again in front of the Greek Asylum Service in Katekhaki. About 2,400 refugees are awaiting currently their transfer. 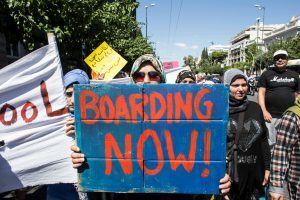 Many have spent already more than 1 ½ years under inhuman conditions in Greece and more than two years far from their beloved. Within the last year, German authorities have made a sharp u-turn from the “welcome” culture of 2015, harshening not only national asylum policies and suspending the possibility of family reunion for refugees with subsidiary protection for two years, but also imposing stricter visa policies in general and showing more reluctance to accept family reunifications while slowing down abruptly the transfers of already accepted applicants. In a time when German news speak of a revival of Dublin returns to Greece, the desperate families who got separated by escaping war struggle for their human right to be with their family. We, the Syrian families from different camps in Greece (i.e. Elaionas, Koutsochero, Ritsona and Skaramangas), who have our beloved relatives in Germany are inviting all refugees who have also their families there and everybody else who wants to join our struggle and stand in solidarity with us, to a peaceful protest on Thursday August 10th at 11 o’clock in front of the offices of the Greek Asylum Service / Dublin Offices near Katekhaki metro station. 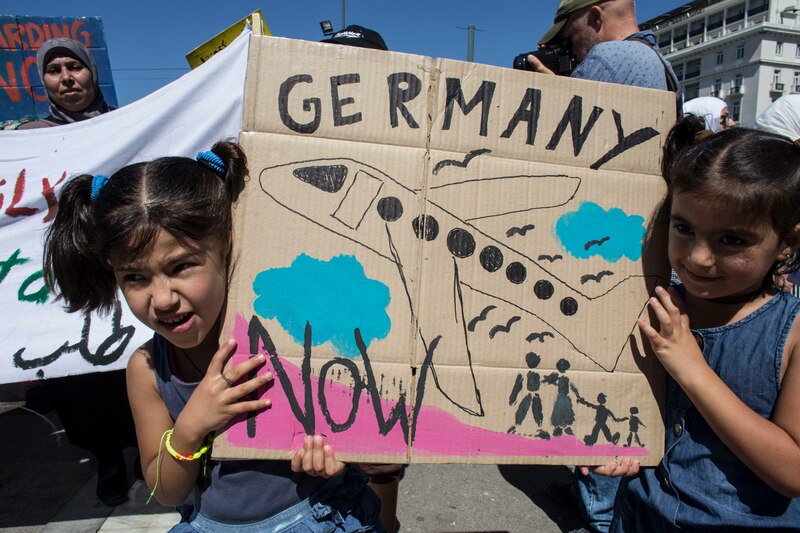 We want to express our strong concern and disagreement about the informal agreement between the German and the Greek government, which let to the practice limiting transfers of persons accepted through family reunification to go to Germany to 70 per month. There are more and more families who have been accepted to go to Germany more than six months ago. There are grandparents, fathers, mothers and children waiting to join each other after years of separation. There are elderly, sick, disabled, newborns, victims of torture and other forms of violence or exploitation as well as many other vulnerable persons among us, who are in urgent need of their families. 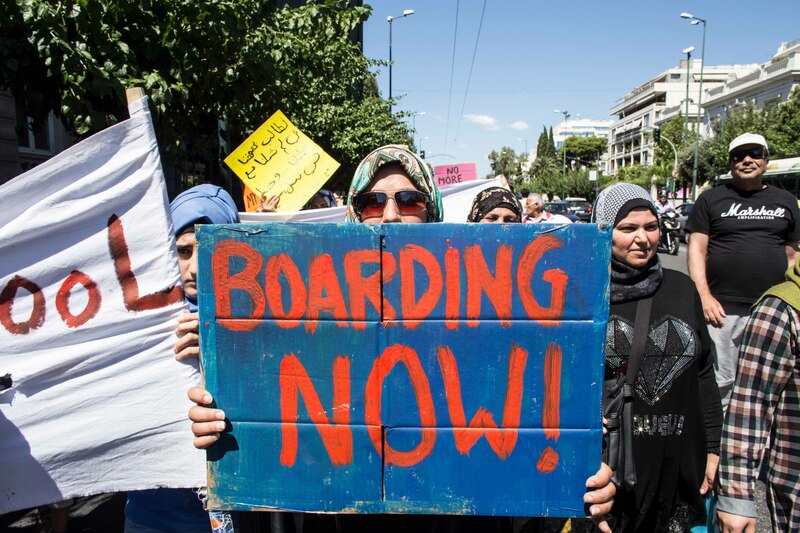 There are many of us who wait already since more than 1 ½ years under very difficult conditions in Greece. We need our families and a life in peace.